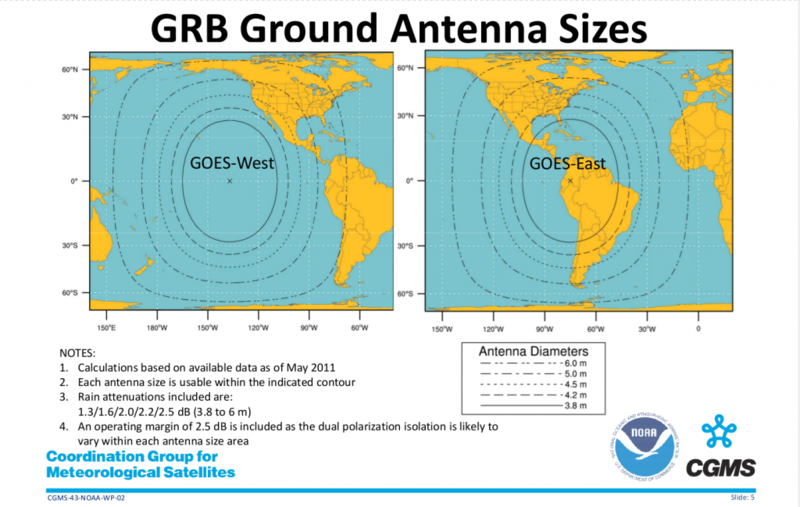 For those who don’t know, the GRB is a direct rebroadcast of GOES data, with minimum processing as possible (usually just packaged into NetCDF files with calibration parameters) and is intended for anyone that want’s to get full data from the satellite. The down-link itself is split into two channels transmitted at same frequency (1684.5 MHz) with different circular polarities. That makes extremely necessary to use Circular Polarized feeds, since a Linear Feed will suffer with cross polarization (sum of each channel at the same signal). For HRIT downlink usually a 1 meter dish is enough for receiving with a good signal (needs a very good hardware setup though). But for GRB, the minimum dish size listed by NOAA is 3.8m for the best regions. 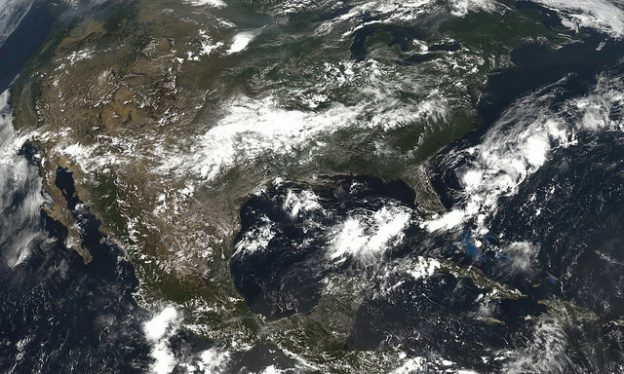 This entry was posted in English, Reverse Engineering, Satellite, SDR and tagged CCSDS, GIMP, GOES, GOES16, GRB, JPEG2000, NetCDF, NOAA, NWS, Open Satellite Project, OpenSatelliteProject, OSP, RocketChat, Satellite, SDR, Septum Feed, SZIP on 15 de October de 2017 by racerxdl.